Any excuse for breakfast! This time was valid though – a birthday gift from a German friend. 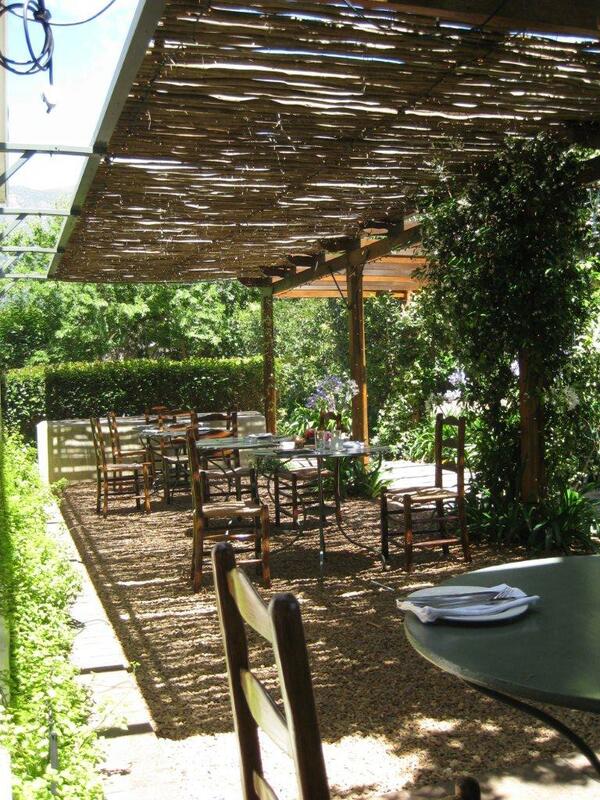 So, off to The River Cafe (which belongs to Constantia Uitsig wine farm) in Tokai. River Cafe is one of my favourite breakfast spots. One can sit outside under the shady awnings, or inside in the rustic restaurant. The staff are so friendly and accommodating. And, the food is fantastic! 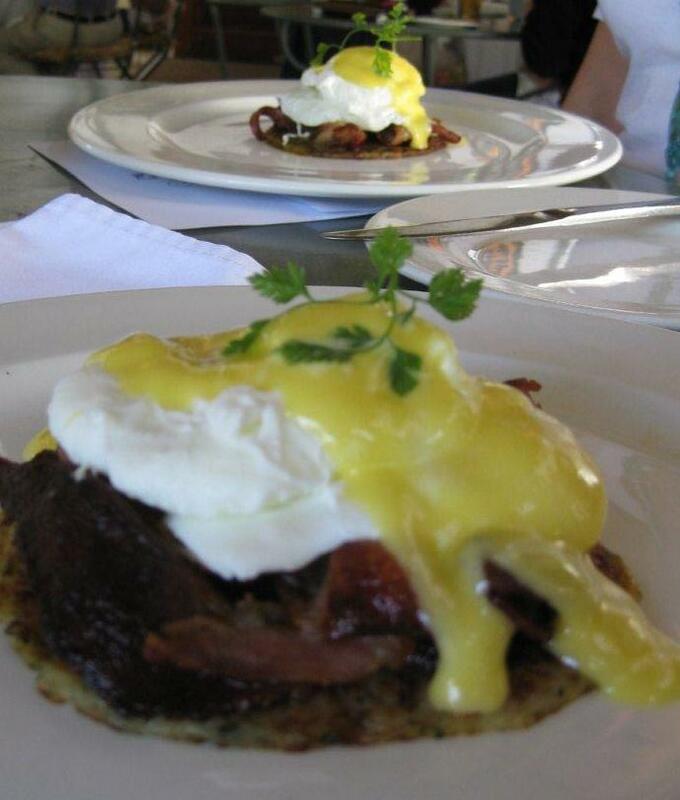 In my opinion, they serve one of the best Eggs Benedict breakfasts in Cape Town! And, best of all! They have a kiddies breakfast menu! For between R36 and R25, kids can have anything from a small traditional breakfast to scrambled eggs on toast to summer berries with yoghurt. First time I have come across a menu for kids and I think it is so insightful! Needless to say, we both had the Eggs Benedict and we were not disappointed! If I were rich and feeling like a piggie, I would have had a second one. I opted for another gorgeous cappuccino instead. After breakfast, we drove just round the corner to the Porter’s Market for a walk around and look see (open every Saturday morning). I love markets and I love food … the two are a match made in heaven! Friends of mine were shocked to hear recently that I had not been to the Old Biscuit Mill Saturday market in Woodstock / Salt River in Cape Town. So, an outing with 2 girl friends was planned … and after 3 hours of the place, I can definitely say, I will be going back for more! 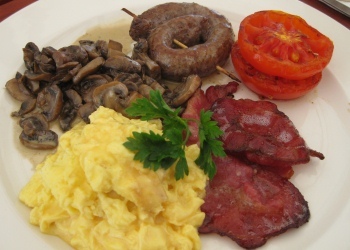 Our journey in the Old Biscuit Mill market started at 9:30am – perfect to stop for a gorgeous breakfast! We wandered around the food hall section which was completely BUZZING with people. I had to fight to get a glimpse of all the delicious goodies on display! And my oh my, what an awesome selection of goodies! And the wonderful wafting of fresh Origin coffee floating through the humming crowd was awesome! Stands filled with tartlets, quiches, cakes, cupcakes, pancakes, cheeses, crispy breads, home-made pies, large muffins, wine tastings, yummy smoothies, home cured olives, farm produce, fresh veggies, mushrooms to die for and dips and … and … and … and the list could go on and on! The mix of choice was overwhelming and delightful! Eventually, I settled on a gourmet sandwhich from a stand right in the middle of it all. R45 got me a selection of goodies on a roll of my choice with 2 different types of pestos, salad and then I added avocado, gorgeous danish feta and aubergine! What a breakfast! They of course had various lovely meat options on display (pork sausages, smoked ham, chicken to name a few), but was feeling particularly veggie this morning. I tucked in and enjoyed every last bite! Perfect way to start my intense shopping day! I highly recommend! A weekend out of Cape Town and up the coast to Onrus / Hermanus – fresh air, open ocean, walks along the coast, jumping southern right whales, and of course, some good food choices! 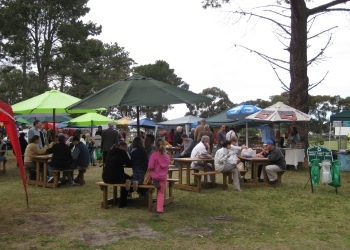 Friends of ours suggested the Fernkloof Farmer’s Market near the Montessori School on the Fernkloof side of Hermanus on the Saturday morning. It was a grey, light rain day, but the market was still well populated with organic and wholesome foods and plants and goodies stores. As the morning progressed, the sky cleared and the crowds came. A coffee and tea stand was well received, and being with my Bavarian boyfriend, we decided on German sausages, sauerkraut (I skipped this one) and onion rolls with mustard for breakfast @ R25 each, they were seriously good! 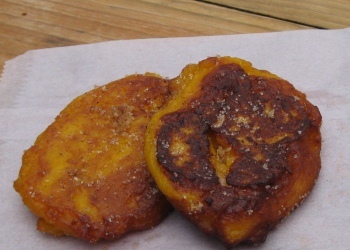 There was a choice of jaffles or vetkoek with various fillings (bacon and cheese, mince meat etc), pumpkin fritters and various other sweet treats. We sat on one of the benches and indulged while listening to a 1 man band. Fantastic. 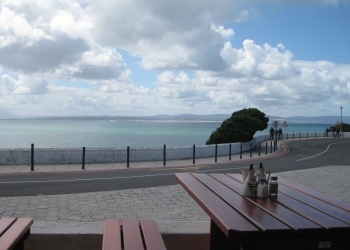 Another suggestion passed to me, was to visit Burgundy Restaurant in Hermanus, right by the Old Harbour. Before leaving Onrus on Monday, we parked in Hermanus and walked around sussing out the selection. Burgundy was a great choice! We sat outside and the service was quick and very friendly. The waitress greeted us as if we were regulars and engaged in light conversation. The menu is short, but from the various plates being served around us, looked delicious and generous. There is a health breakfast for R45 – traditional muesli, yoghurt and fruit. 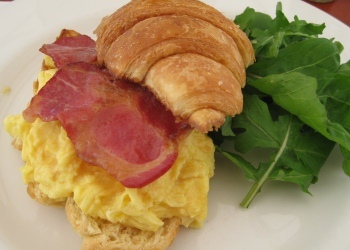 I ventured on the croissant, scrambled eggs and bacon side of things (R45) (with salmon instead is R55). My companion opted for the Burgundy Breakfast @ R55 – 2 eggs (scrambled as his choice), bacon, creamed mushrooms, grilled tomatoes and boerewors and toast. I must say that the scrambled eggs we both had were creamy and delicious – the best I have had thus far! One thing I was impressed about was that I asked for some cheese for the rest of my croissant and was not charged. I have been to places in Camps Bay where I was billed for a smidgen of Marmite! To add to our delite and to round off the weekend, we were treated to 3 southern right whales jumping vigorously in the bay!